What is your favourite Ohno solo? 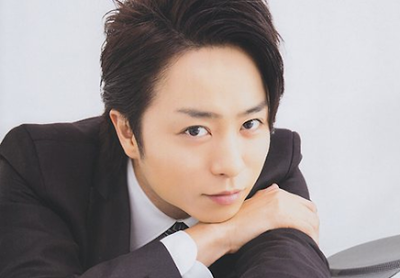 What is your favourite Ohno solo? Why? I'm torn between Shizuka na Yoru ni and Take me faraway. Both songs have beautiful lyrics and a "sad" melody. Ohno's voice is perfect for songs like these two. I don't think I can pick a favourite one. Re: What is your favourite Ohno solo? o.o much longer list than on the previous forum. I guess polls aren't as limited here. Even though I love most of his solos Kumori Nochi, Kasei is still my favourite. I don't even know why. It is probably the first Ohno solo I encountered though. Uta no Oniisan is also my favourite among his TV series, so that may be part of it. Shizuka na Yoru ni!!!!!! Gives me the chills all these years later every time I hear it!! It's a close tie with Rain though!!! Top Secret and Ready to Fly are my two TOP favorites, but I can't pick one. Rain and Song for Me are up there too. It seems to change daily, haha. It's got to be Song for Me. I love his other ones as well, but this is one of the first solos to hook me and it just sticks. I picked Yukai Tsuukai Kaibutsu-kun! I'm not sure how serious I'm being about that choice, hard to be serious for a non serious song. But it's the one I find myself randomly singing the most, so at least subconsciously it has to be my favourite, right? I was about to answer Akatsuki. It's the best song in Japonism album, in my opinion. But then I saw Kumori nochi, Kaisei. Hahaha It's rare for Riida to sing such an upbeat happy song. I love it so much. I voted for Song for Me, but I also really like Rain and Hung Up On... And Bad Boy is hilariously so wrong that it's so right, hahaha. I chose Akatsuki, but it was a hard decision. I like Two a lot, and I went through a period where I played Hit the Floor multiple times a day, every day. I have a love/hate thing for Bad Boy. I can't say I like that song, but I can't bring myself to skip it when it plays. I just mutter something about hating it while it plays. Take me faraway for me. His singing paired with his dancing is so emotional. Hit the floor used to be my ichiban song from Ohno's solos. Then, Akatsuki came. Hahaha! I also love Hung Up On, Two, Shizuka na Yoru ni and Take Me Faraway! For me it is Hit the Floor. There is absolutely nothing that I don't love about the song. The music, the lyrics the choreography... it is just perfect! Always Take Me Faraway (Dream "A"Live). I could listen to it over and over again. His performances of this song in concerts are all so mesmerizing! Such fluid movements.